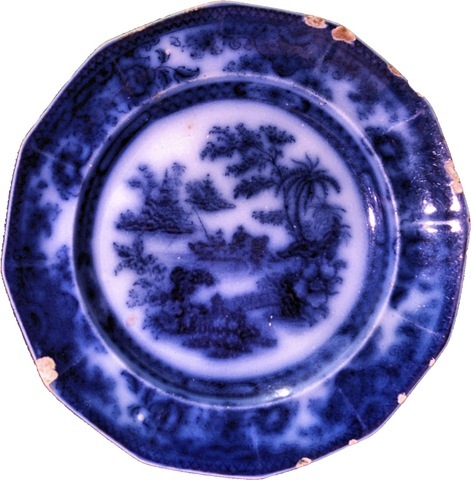 This entry was posted on August 19, 2012 at 12:30 pm and is filed under Arabian pottery, blue and white, ceramic history, Creamware, decorative arts, Earthenware, English Pottery, Flow Blue, Ironstone, Josiah Wedgwood, Porcelain, Pottery Decoration, pottery history, Transfer Print Ceramics. You can follow any responses to this entry through the RSS 2.0 feed. You can leave a response, or trackback from your own site. fantastic story…I have the heath Tonquin plate also…fewer cracks…2 small chips…beautiful color.